There’s an app-le for that. And just like that, we’re halfway through September. It feels as though we were talking about corn just last week, but already there are leaves on the ground, the mornings are crisp, and flannel shirts have replaced strappy rompers on the streets. One of the best things about Autumn is the smell, whether it be rain on the pavement, the fresh air, hot cider at the farmers market, or pies in the oven. A key Fall ingredient? The apple. One of the most prevalent fruits, some varieties of apple are available year-round due to excellent long-term storage techniques. Individually wrapped in newspaper, an unblemished apple can keep for months in a cool, dark place. But an apple fresh off the tree in September? That only comes once a year. There’s something about taking a piece of fruit directly from the source, and biting into its crisp, juicy flesh that makes you cherish it a little bit more. 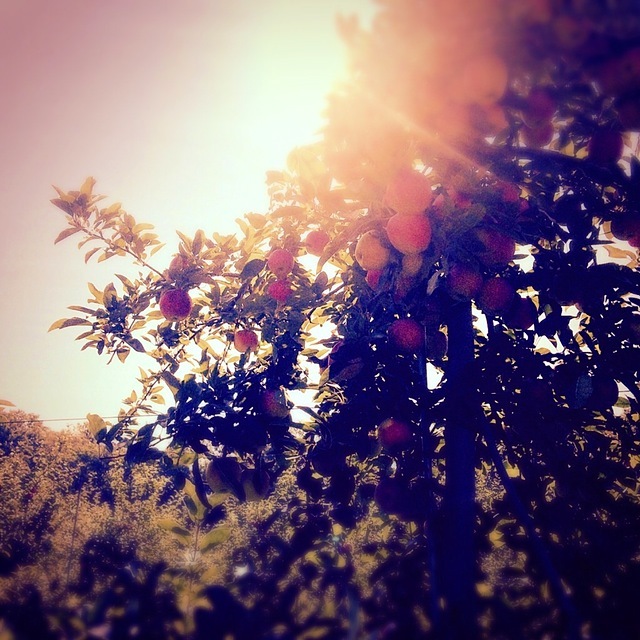 So slip your feet into some warm, cozy socks, escape the busy world for a day, and go apple picking. If you’re back east, many orchards in New York, Connecticut and Massachusetts offer “pick-your-own”. We should also mention there might be doughnuts involved. Anyone who grew up in rural New England will start to drool at the thought of a warm, cakey, apple cider doughnut at an apple farm in September. See? Hooked. The doughnut does it every time. 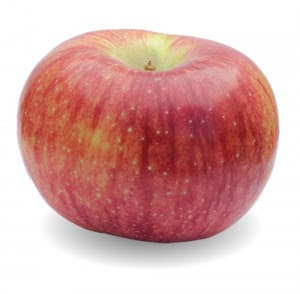 Store unblemished apples in the hydrator drawer of your fridge for up to a few weeks. A cross between a McIntosh and a Ben Davis, the Cortland is delicious for eating right out of hand as well as for baking. This apple is thin skinned with juicy sweet/tart flesh. 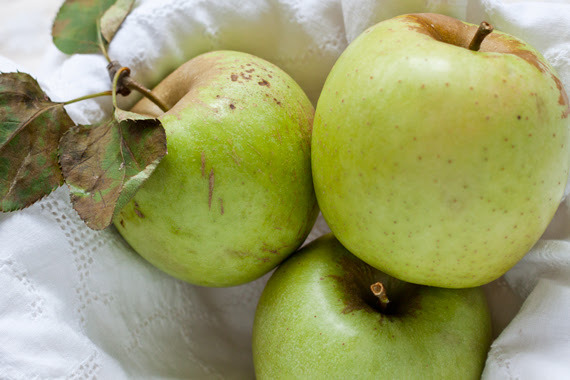 An antique apple, the Spitzenburg was discovered in the 18th century in New York. 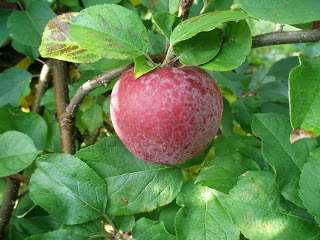 It is a late-season apple, and is delicious out of hand, bakes well, and is also used to make cider. A pick-your-own and farm stand favorite! The Macoun is a cross between the McIntosh and Jersey Black, and is perfect for eating out of hand. 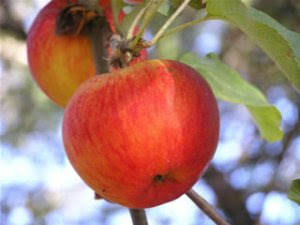 It is a late-season apple, and it tends to fall off the tree quite quickly when ripe. 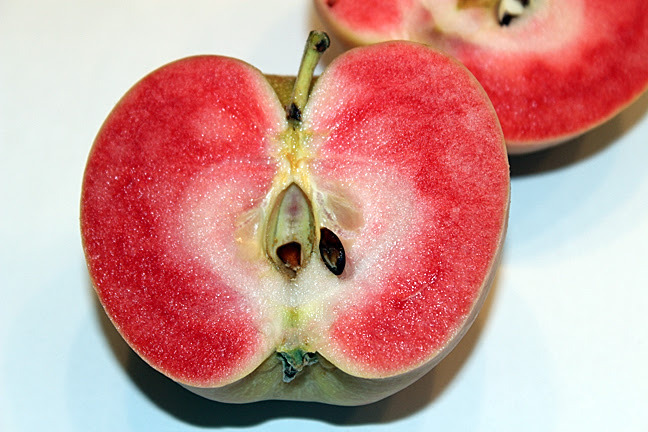 Developed in the late 1980s at the University of Minnesota, this apple has much larger cells than others, making it perfect for juicing or eating out of hand. A cross between the Golden Delicious and a Japanese Indo apple, the Mutsu is fairly large in size and is great for apple sauce and baking. While it has Japanese heritage, the Mutsu is grown all over New York State. With greenish-yellow to pink skin, and bright pink flesh, the Pink Pearl is an eye-catcher! 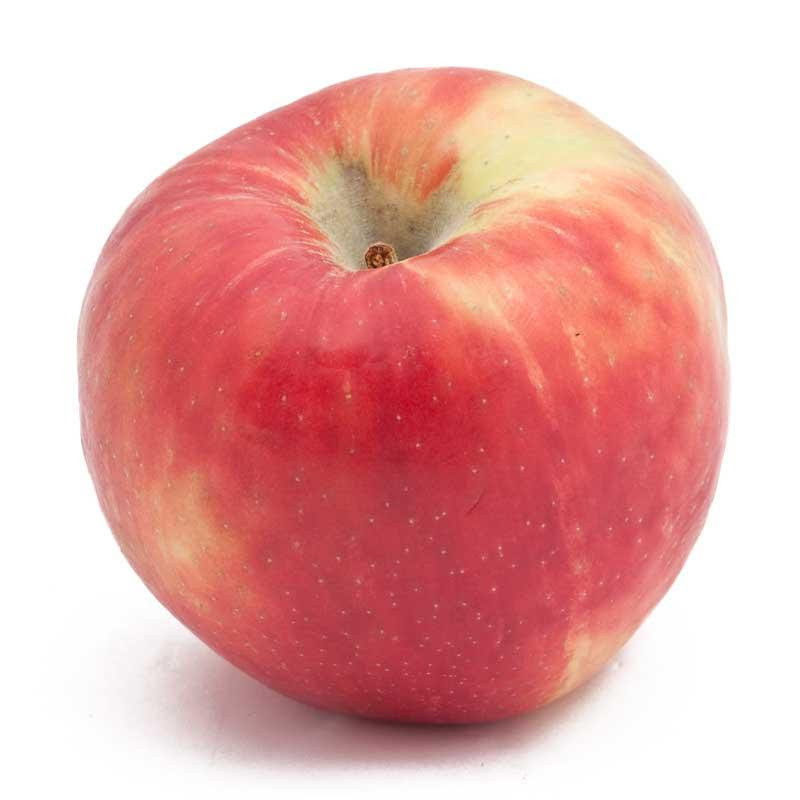 This apple was developed in California in the mid-twentieth century, and is perfect for eating out of hand. Want a snack? Here’s one for all the juicers out there. 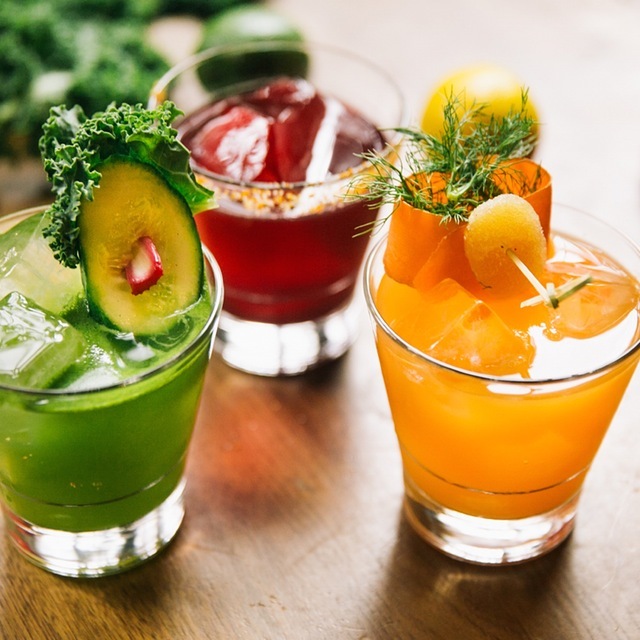 Freshly pressed juice is much more nutritious and delicious than the stuff that has been sitting around in a bottle. 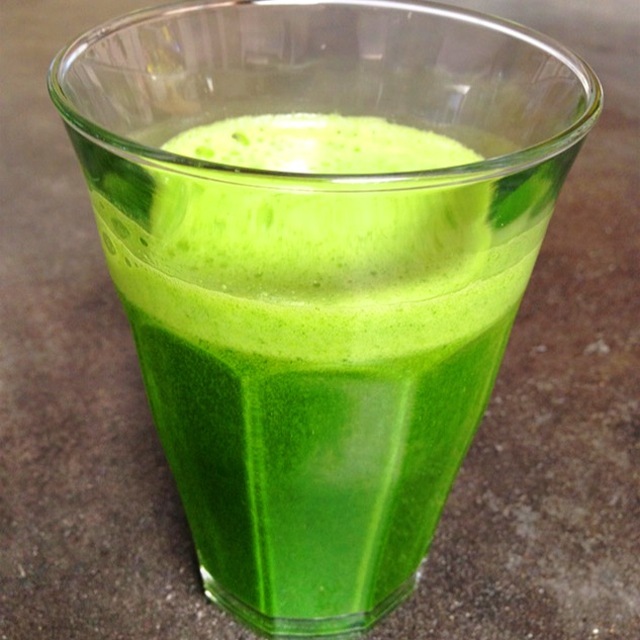 The kick of lime and ginger give this juice a great twist. 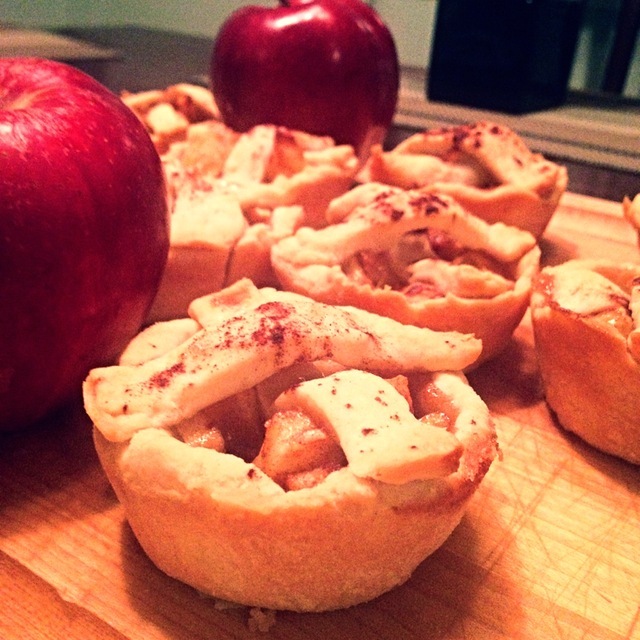 Featured Apple Recipes from Foodstand Posts! ere are your fellow Foodstand friends with their recipes! Have you ever baked with spelt flour? I love it and will use it more and more in my kitchen. 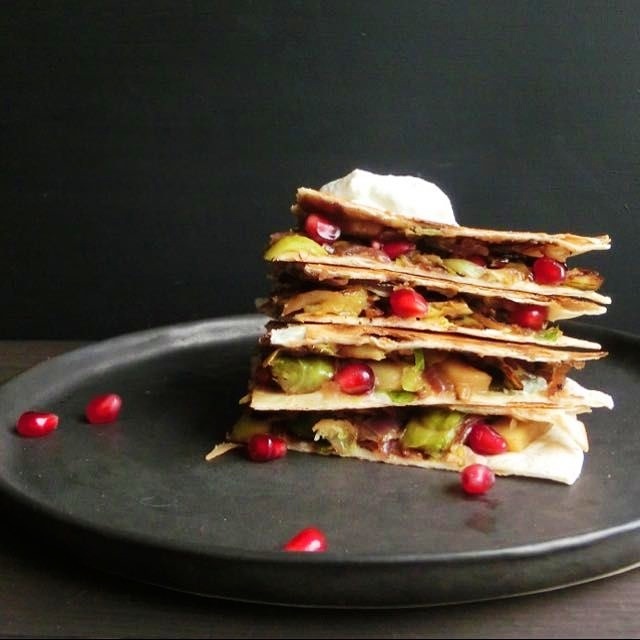 Mix all the ingredients and when all combined add grated apple. Heat a bit of coconut oil (or butter) in a non-stick pancakes pan over medium heat. Put 2 tbsp of batter per pancake on pan (I was making two at the same time but depends how big is your pan) and cook 2-3 minutes or until you see bubbles forming on top of the pancake. That means it’s time to flip them and than cook another minute or two on the other side. 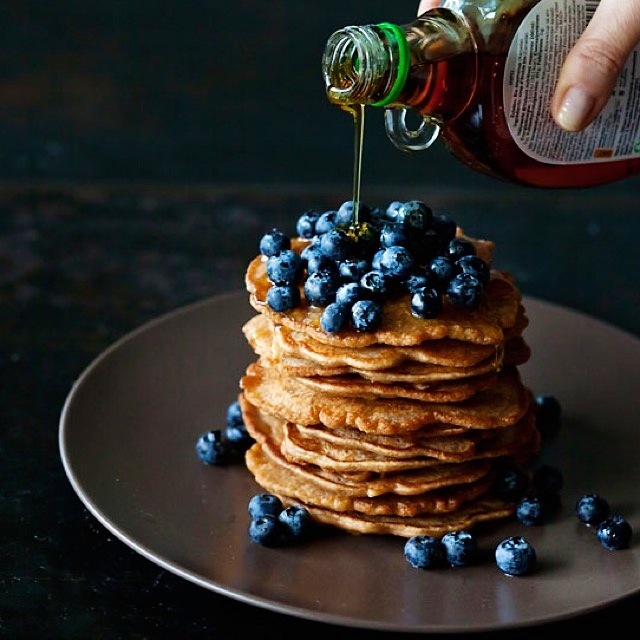 Serve them with maple syrup and blueberries or maple syrup or honey with pecans or with Greek yogurt and honey. Enjoy! Love the fresh juice cocktails here! Hung out in the LES this afternoon. 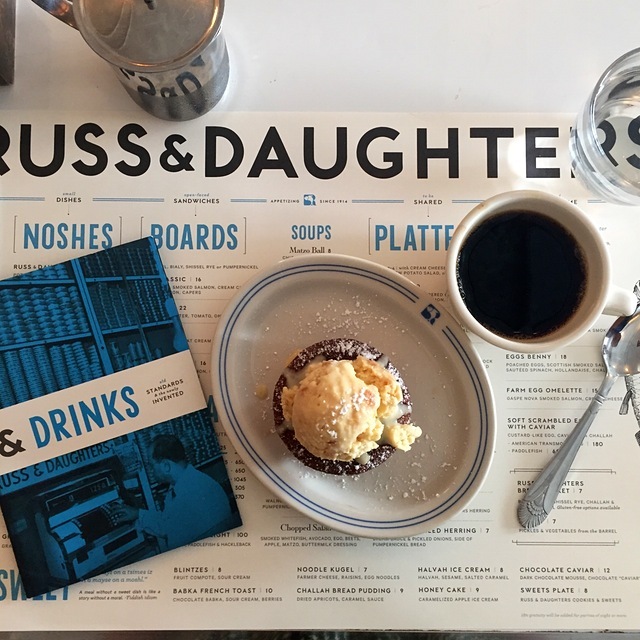 Wouldn’t be complete without a pop into Russ and Daughters. No lox or caviar this time around, but their recipe for honey cake is exactly the way I remember it as a kid. 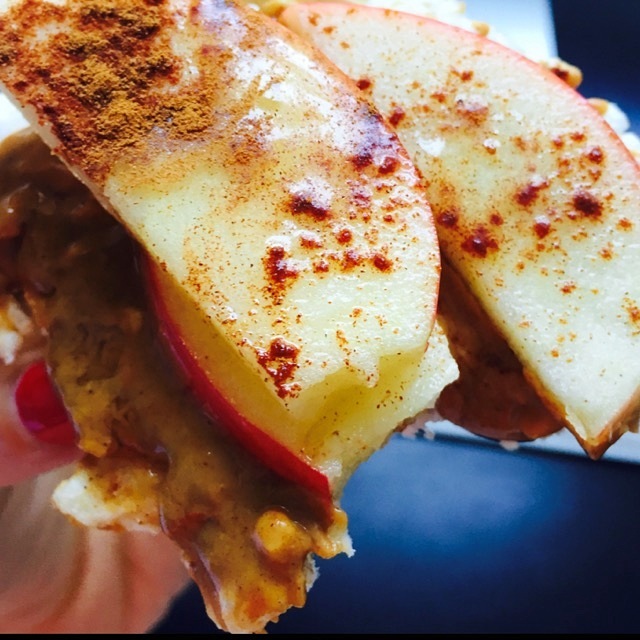 Caramelized apple ice cream topper.